Tantra is one of the most misunderstood of the esoteric disciplines. In order to get a clear idea as to the nature of Tantric ritual and belief it is necessary to go where Tantra is still practiced and from where important Tantric teachings originated a thousand years ago: the island of Java in present-day Indonesia. 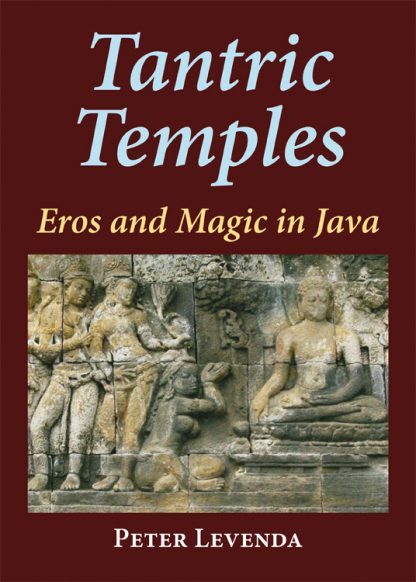 This book illustrates the history of Tantrism in Java with more than a hundred photographs of temples, statues and iconography dedicated to the system�some rarely seen before, including the recently-excavated �white temple� of Yogyakarta-and accounts of contemporary practices in the shrines, cemeteries and secret schools of Java. sexual acts and psycho-biological states became the basis for a comprehensive cosmology that incorporates every aspect of human experience. Sometimes the secrets are buried where you least expect to find them. Sometimes they are hidden in plain sight. Sometimes they are both. In the largest Muslim country in the world we will discover a path of Tantra so unique, yet so vibrant and alive, that we will be astonished that no one had heard of it until now.